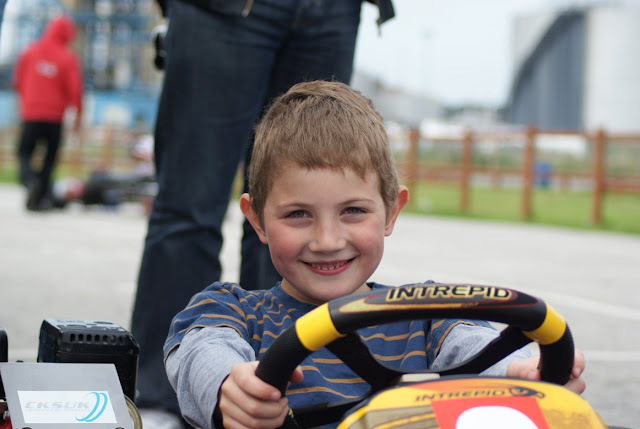 Samuel and Jacob Kart Racing: Samuel's First Kart! 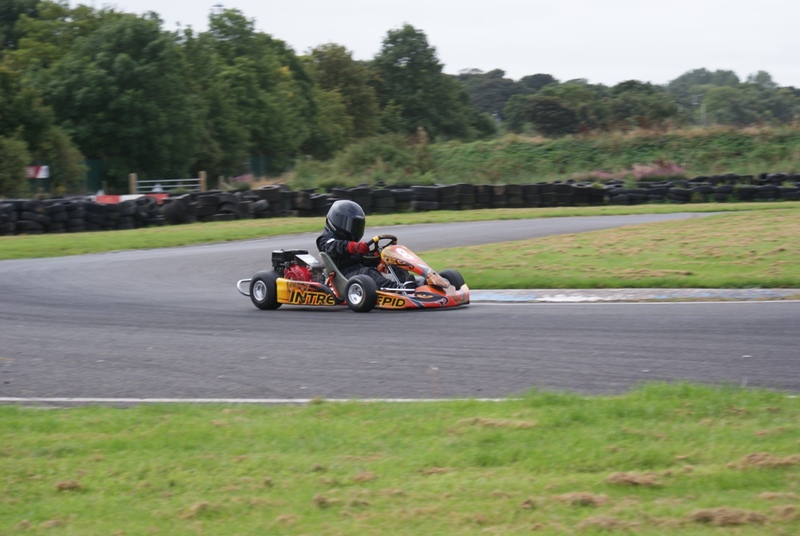 Samuel is now the proud owner of his own cadet kart! 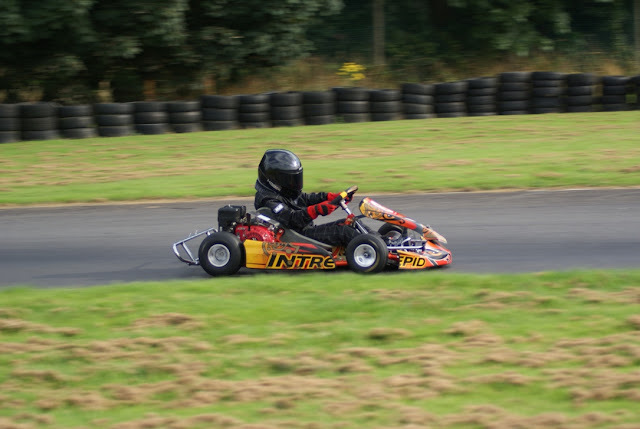 It's an Intrepid Maky with a Honda engine. 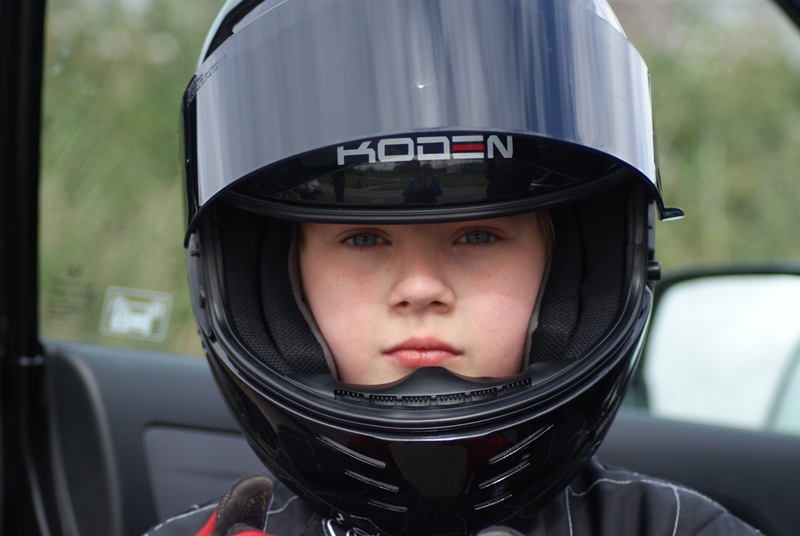 We took him to Hooton Park with Ryan for a test day so that Samuel could get used to the kart and how it handled. 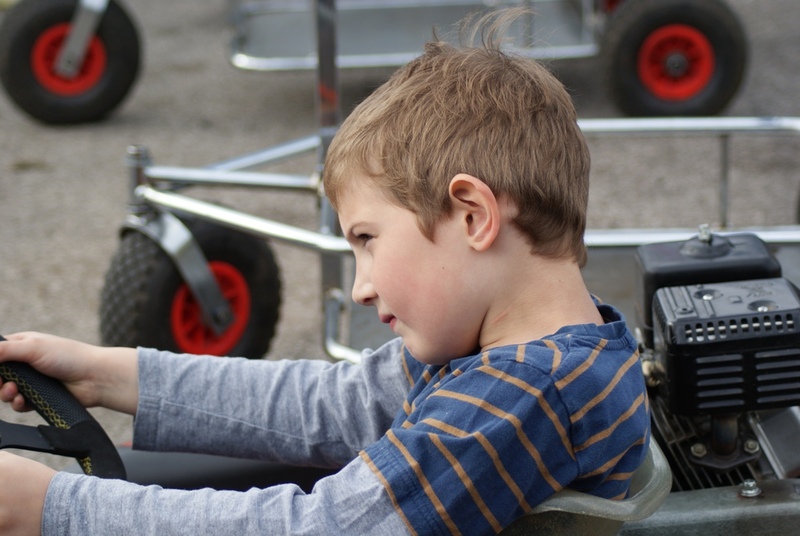 We had a glorious day although not quite as hot and sunny as the last time we were at Hooton and Samuel quickly got to grips with the kart and his racing lines. 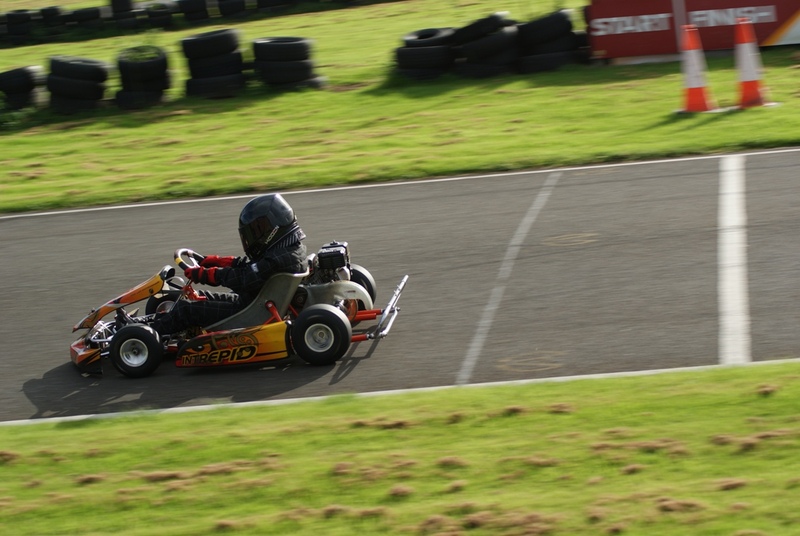 At the moment the kart is numbered 8 but Samuel wants it to be 77 - so next time you see it, it should be re-numbered! And yes Jacob, one day this kart could be yours! 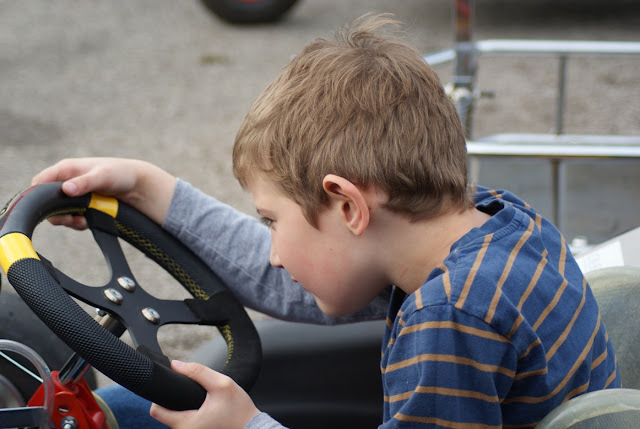 These last two pictures taken when he thought I wasn't looking! 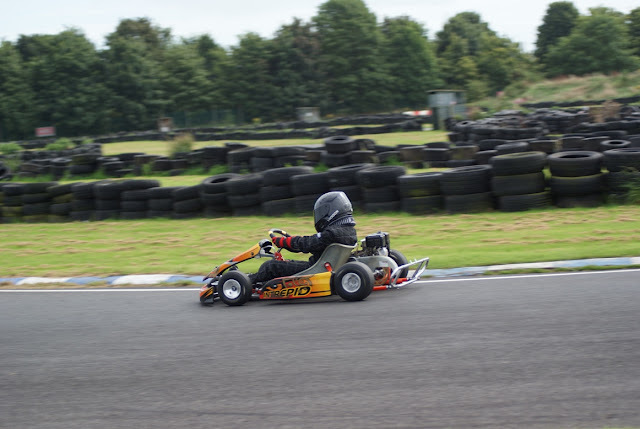 The kart gets its next outing on 15th and 16th September as Samuel is going to see what its like racing outdoors and with a lot more karts on the grid!